On the sire's side, Val carries Pepel's bloodlines, featuring Tempelhüter and Dampfross, who can be traced back to the 17th century. Pepel took spectators' hearts in the Munich Olympic Games where he won the Gold Medal in Dressage. Four years later he won the Silver Medal in the Mexico Olympic Games. On his dam's side, Topkij, a chief breeding stallion at the Kirow Stud Farm in Russia, carries valuable blood from both his dam and sire. Topkij, at the age of 7, won the Nation's Cup in Show Jumping. His remarkable jumping ability and movement have carried through to his offspring, leading more than 25 Champion standings in both the dressage and jumping disciplines. Val inherited the desire and ease with which he jumped and his effortless yet powerful movement from his ancestors. His attractive top line featured a long neck and perfect saddle position. Careful front legs and powerful bascule were some of the desired features of a successful show jumper. He also inherited 3 exceptional gaits including a remarkable floating trot, giving his offspring great dressage potential. These traits, along with a beautifully chiseled face with kind, expressive eyes and an elegant dark bay colour have consistently been passed down to his progeny. His offspring keeps winning breeders awards: for example: 2007 American Warmblood - Gold, Silver and Bronze Medals. This stallions pedigree is a breeders dream. 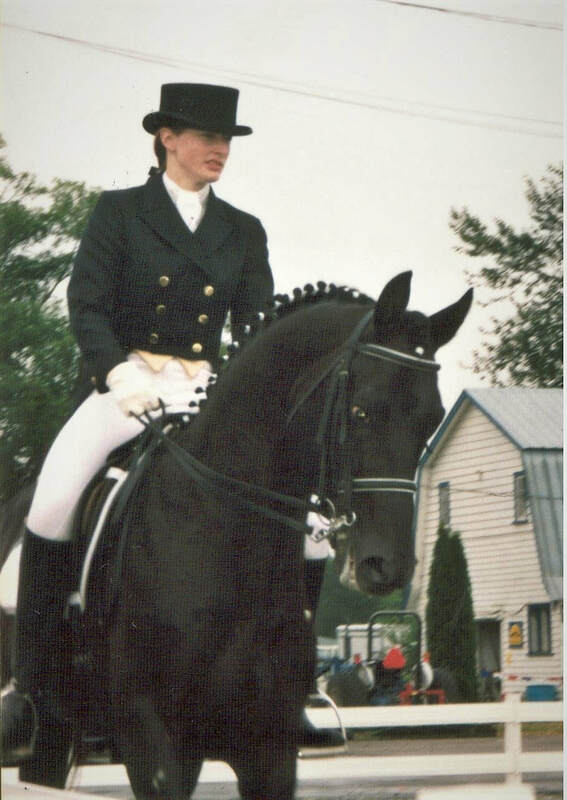 National Young Rider's Dressage Champion, winner of the 1996 Canadian Trekehner Performance Award. Dalnomer won the BC Championship, and was shown to the FEI levels by a Young Rider. Dalnomer was unforgettable in the dressage ring, moving with rythmic, elastic and ground covering gaits. Dalnomer was bred in Russia, and carries outstanding Olympic blood lines. He combined unforgettable beauty, fantastic movement, correct conformation and character in one complete sport horse package. Dalnomer consistenly passed his disposition, superb movement and exceptional conformation to his progeny. Dalnomer closely resembles his great, great grandfather Pythagoras who was the chief sire at Trakehnen, the birthplace of the Trakehner horse. 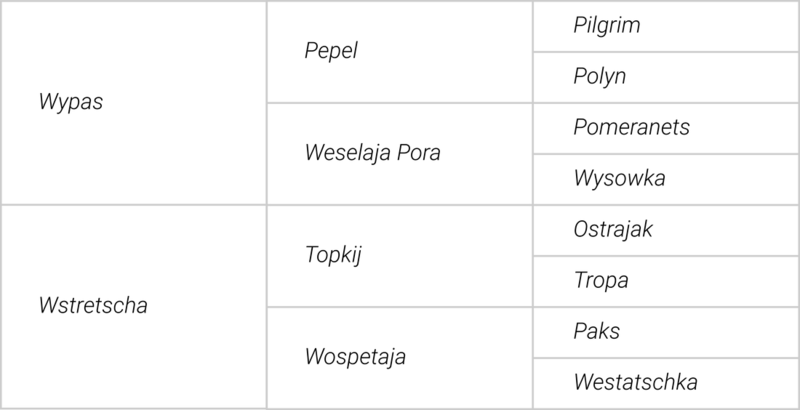 Pythagoras combined the blood of the two "Century Sires" Dampfross and Tempelhuter, and was Trakehnen's leading sire prior to WWII. Pythagoras' offspring were instrumental to revitalizing the breed after the war. Protagonist was Dressage Reserve Champion Level II, with outstanding temperament and work ethic. He passed on his level mind and excellent work ethic. Protagonist was a grandson of Enrico Caruso, who is found in the pedigrees of many successful horses. Enrico Caruso had an extremly gentle character and was very athletic. He stood at 16.3 HH, and has sired many successful sport horses, including 9 approved sons. Enrico Caruso qualified for the 2005 FEI World Cup in Las Vegas under Edward Gal.